The planning process has begun for the next Lutheran Hymn Festival. The Board of Directors is pleased to be working with Kevin Hildebrand as guest organist for the next festival. He is currently Associate Kantor at Concordia Theological Seminary Ft. Wayne, Indiana. The Board is exploring the possibility of hosting the next festival in the fall 2020. The tenth Lutheran Hymn Festival was held in October 2016. David Cherwien was the featured guest organist. In anticipation of the 500th anniversary of the Reformation, the music featured the hymns of Martin Luther. The hymns included, “Savior of the Nations, Come”, “Dear Christians, One and All, Rejoice”, “Lord, Keep Us Steadfast in Your Word”, “Christ Jesus Lay in Death’s Strong Bands”, “O Lord, We Praise Thee”, “From Heaven Above to Earth I Come”, “Our Father, Who from Heaven Above”, and “A Mighty Fortress”. Between hymns was a dramatization of historical persons at the time of the Reformation and those that could help us gain perspective upon the life of Martin Luther. The festival setting of “Christ Jesus Lay in Death’s Strong Bands”, arranged by David Cherwien, was commissioned for and premiered at the 2016 Lutheran Hymn Festival. The hymns included, “Thy Strong Word”, “Beautiful Savior”, “Light of Light, O Sole-Begotten”, “Arise and Shine in Splendor”, “Thine the Amen”, “Father, Most Holy”, “O God of God, O Light of Light”, “Praise the One Who Breaks the Darkness”, “The King Shall Come When Morning Dawns”, “I Want to Walk as a Child of the Light”, “Rise, Shine, You People”, and “Christ, Mighty Savior”. 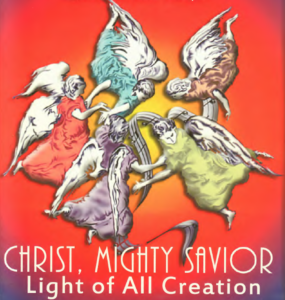 The festival setting of “Christ, Mighty Savior”, arranged by Steven Wente, was commissioned for and premiered at the 2013 Lutheran Hymn Festival. 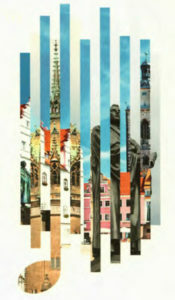 The eigth Lutheran Hymn Festival was held in September 2010. Jeffrey Blersch was the featured guest organist as we celebrated an evening of hymns to the Trinity. The hymns included, “Praise to the Lord, the Almighty”, “O Worship the King”, “O Sing of Christ”, “My Song is Love Unknown”, “O Morning Star, How Fair and Bright”, “Creator Spirit, Heavenly Dove”, “Water, Blood, and Spirit Crying”, “O Light Whose Splendor”, and “Voices Raised to You We Offer”. The festival setting of “Voices Raised to You”, arranged by Jeffrey Blersch, was commissioned for and premiered at the 2010 Lutheran Hymn Festival. 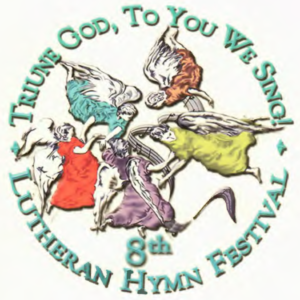 The seventh Lutheran Hymn Festival was held in September 2007. Robert Hobby was the featured guest organist as we celebrated hymns of praise inspired by the Te Deum Laudamus. 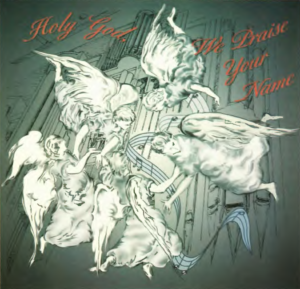 The hymns included, “Holy God, We Praise Your Name”, “Immortal, Invisible, God Only Wise”, “Father, Most Holy”, “Of the Father’s Love Begotten”, “Lift High the Cross”, “Up Through Endless Ranks of Angels”, “Lo! He Comes With Clouds Descending”, “Evening and Morning”, “Now Rest beneath Night’s Shadow” and “We Praise You and Acknowledge You”. The festival setting of “Holy God, We Praise Your Name”, arranged by Robert Hobby, was commissioned for and premiered at the 2007 Lutheran Hymn Festival.